With the game at Roots Hall televised by Sky Sports, McGeehan was shown on camera allegedly clashing with a Southend player in the 54th minute, an incident that was missed by the officials. "We have denied the charge. We feel it was a little bit harsh and we have denied the charge and waiting to hear back,” Tonge said. “Hopefully, we will hear something back today. First and foremost, we know the player and there was no malicious intent, which we have stated. “As you see from the challenge itself, Cam's movement has not changed one bit, it was actually the player who moves his leg towards the ball, which you can see. “We are not denying that Cam has made contact with the player, we have not denied that. “But there was no movement towards the player, his momentum has took him that way. 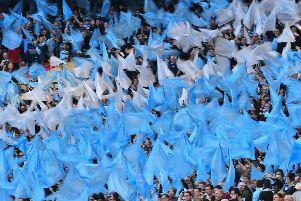 You saw the players after and no-one made a fuss of it. “It is a strange one, but it is something the FA have put to us and we have obviously denied it. I am hopeful, but it is the lap of the gods. “Hopefully, the case put forward will be good enough." 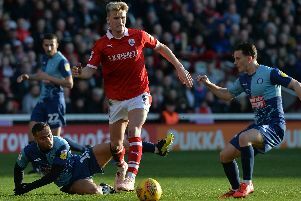 McGeehan’s unavailability would be a big blow to Barnsley's promotion bid, having already lost Jacob Brown and Kieffer Moore. Winger Brown was sent off at Southend, meaning he starts a three-match ban against Stanley, while 18-goal striker Moore will miss the rest of the season through injury. Tonge, though, is confident the club have players to come in and perform. “As we mentioned with Kieffer, it is another opportunity for someone else to step in,” Tonge said. “Greeny (Jordan Green) came in for 20 minutes at the weekend and he was excellent. “Everything you would ask, made an impact as a player coming on the pitch and, moving forward, that is all we can ask for as a squad.